The attention of the All Progressives Congress (APC) is drawn to a bizarre request by a faction of the Peoples Democratic Party (PDP) on the Independent National Electoral Commission (INEC) to postpone the November 26 governorship election in Ondo State on account of the PDP’s internal crisis. 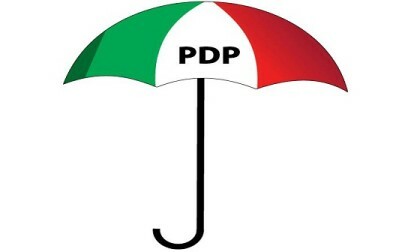 The PDP in continuation of its wild conspiracies on the Ondo Governorship Election has also accused the APC of colluding with the judicial system, INEC and security agencies to “manipulate” the outcome of the Ondo State governorship election. The PDP crisis and the aftermath governorship candidate tussle within its ranks are self-inflicted and the PDP cannot hold Ondo state and indeed the country hostage on account of its internal crisis. Instead of making the ridiculous election postponement request on INEC, the PDP should focus and redirect its energy towards putting its house in order. The APC is not party to any scheme to subvert justice and undermine the very progressive and participatory democracy which the APC fiercely stands for. The APC calls on INEC to ignore PDP’s bizarre request and concentrate on delivering a free, fair, credible and transparent ballot on election day. The Ondo electorate are wise and will vote for the candidate with a proven track record of performance on election day. A vote for the tested, trusted and credible APC governorship candidate, Rotimi Akeredolu, SAN will bring about massive multi-faceted development which has eluded the state.